Was the chocolate chip cookie invented by mistake? The chocolate chip cookie – is there anything better? It’s the kind of food that’s perfect for every occasion. Happy? Eat a cookie. Sad? Eat a cookie. Bored? Eat a cookie. In a rush? Eat a cookie. Basically, eat cookies all day, every day (just kidding. Of course, you need to eat them within moderation). But where did they come from? Who invented the chocolate chip cookie? 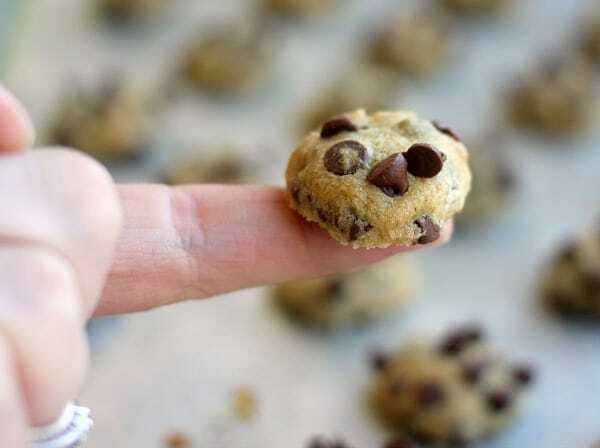 What are chocolate chip cookies made from? 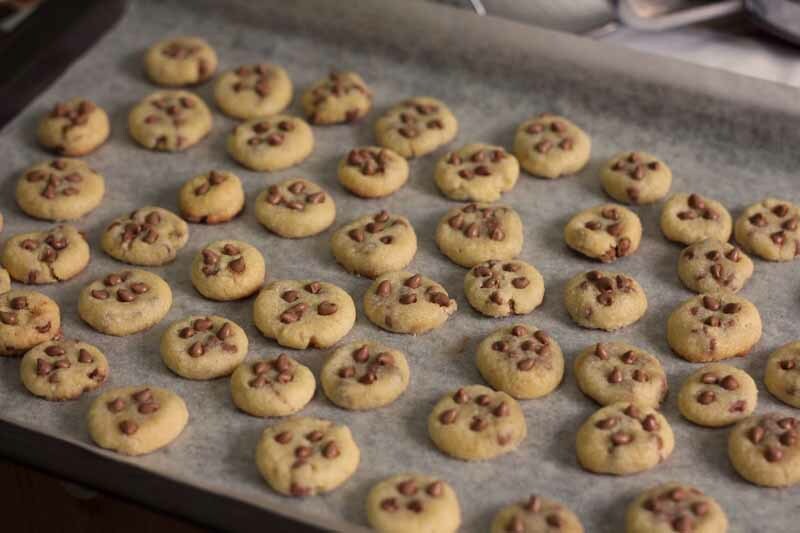 Chocolate chip cookies are easily made at home, or if you don’t trust your skills in the kitchen, you can buy them from any store, all over the world. These drop cookies consist of chocolate chips, butter, sugar, flour and vanilla. There are many companies and bakers who create their own versions of the standard recipe that may include other ingredients like nuts or oats. But the original chocolate chip cookie was fairly simple. So who invented chocolate chip cookies? The beloved cookie was invented in 1938 by Ruth Graves-Wakefield, an American Chef who worked at the Toll House Inn, Massachusetts who prided themselves on their authentic home cooking. There are multiple incorrect reports that Wakefield created the chocolate chip cookie by accident, and that she was hoping that the chocolate chips will create a full chocolate flavor. However, Wakefield has refuted these claims, stating that it was no accident. She was experimenting with different flavors and ideas for her cookies and her guests and created her Toll House cookie. In 1936, Wakefield decided to publish a cookbook called Toll House Tried and True Recipes, which she updated in 1939 to include her new ‘Toll House Chocolate Crunch Cookie’ which became an instant success. After the breakout of WWII, overseas soldiers from Massachusetts were often sent packages from their families including these new cookies, and the word spread. Soon, soldiers from all over the U.S wrote home to ask their families for these delicious cookies. 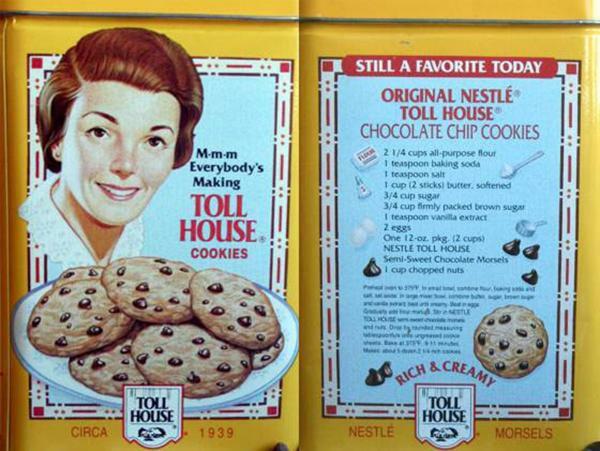 As The Toll House Cookie became a staple in most American homes, Wakefield was bombarded with companies asking her for the recipe. Nowadays, every single packet of Nestle Chocolate Chip Cookies in America has Wakefield’s original recipe on the packaging back – the only difference is that they offer butter or margarine as an option. In 1997, the state of Massachusetts made the cookie as their Official State Cookie, to celebrate the fact it was created there. 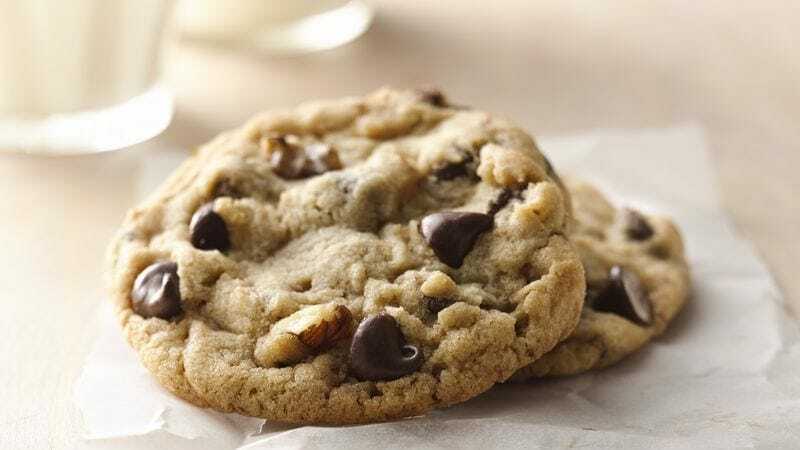 Since then, the chocolate-chip cookie has been taken over by major corporations, with each company creating their own brand and recipe – some of the most popular are Maryland Cookies, Blue Chip Cookies, Pepperidge Farm, and Mrs. Fields. As well as this, nearly every cookbook in the world will offer instructions on how to make this baked delicacy.